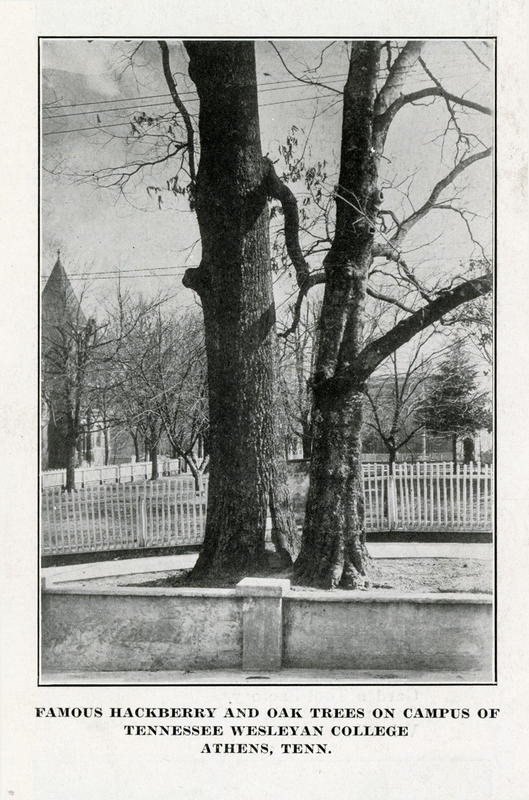 On the grounds of Tennessee Wesleyan College there once stood an oak tree and a hackberry tree growing together so closely that their trunks were joined and their branches entwined. According to legend, the two trees mark the final resting place of a Cherokee woman and her British officer husband, the seeds of the trees placed in each of their hands before burial. Skeptics will claim that a tree growing too near another tree will grow in and around it in the same way it would a fence, wagon wheel, or telephone pole. 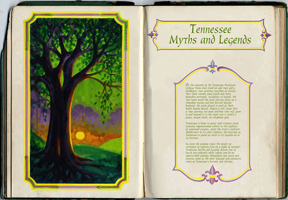 Tennessee is home to many such stories; from amazing supernatural events to the exploits of renowned figures, from the state’s earliest inhabitants to its most modern, the heritage of Tennessee is found as much in its legends as in its history. So, were the famous trees the result of centuries of undying love or a fluke of nature? 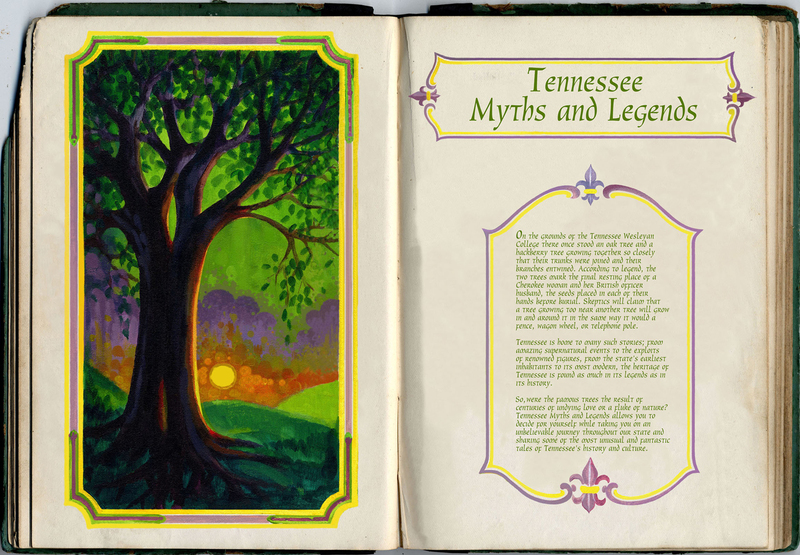 Tennessee Myths and Legends allows you to decide for yourself while taking you on an unbelievable journey throughout our state and sharing some of the most unusual and fantastic tales of Tennessee’s history and culture. Jealousy within the tribe soon struck, and one of Nocatula’s previous suitors, Mocking Crow, ambushed Conestoga during a hunt and murdered him. When Nocatula reached Conestoga he was already dead and, in despair, she drew the knife from his fatal wound and plunged it into her heart. Atta-kulla-kulla ordered their bodies to be buried together where they died and placed an acorn in Conestoga’s right hand and a hackberry seed in Nocatula’s. The following year sprouts of an oak tree and a hackberry tree marked the graves where the two lovers were buried. 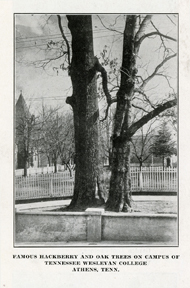 There the two trees stood, in Athens, Tennessee on the grounds of the Athens Female College, now Tennessee Wesleyan College, until 1945 when the hackberry elm began to die and was removed. Like the lovers in the legend, the oak could not survive without its partner and within five years it also withered and died. In 1957 a historical marker retelling the legend of Nocatula and Conestoga was erected on the site and two new trees were planted close to where the originals once stood.